Kathi Culbreth is a 54-year-old woman who became ill quite suddenly this past July 5th, 2016. Kathi was not able to breath and was rushed to the emergency room where she was diagnosed with congestive heart failure. She was later sent by ambulance to Florida Hospital and was admitted immediately. Kathi had a 15 % ejection fraction, critical congestive heart failure with no signs of a virus, heart attack, stroke or blockages. Kathi grew up in a small town, South Patrick Shores, Seapark and graduated from Satellite High School in Satellite Beach, FL. She was diagnosed with multiple sclerosis (MS) soon after graduation but remained as active as her health would allow. She worked and retired from a local wireless communications manufacturer in 1998. Kathi later worked as a Nanny for a family of five and thoroughly enjoyed it. 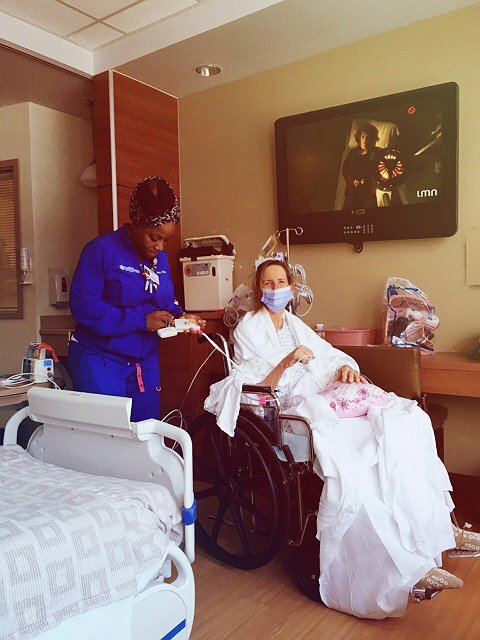 On that fateful day when she was rushed to Florida Hospital, doctors there placed her at the very top of the heart transplant waiting list at 1A. Remarkably, just eight days after that Kathi received her lifesaving heart transplant on September 22, 2016. She’s been staying with her brother and me so she would have the necessary caregiver pre- and post- op but Kathi is doing so well that she is planning to make a move into a home of her own! Kathi is one of the kindest people you’d ever hope to meet and she needs our help. Transplants are lifesaving but financially draining. 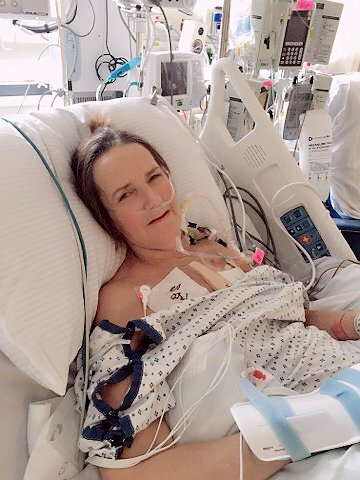 Even with insurance, Kathi is facing very high expenses including future hospital stays and post-transplant medications of up to $3200 per month! She will need to take this immunosuppressant medicine for the rest of her life to avoid rejection. Kathi also faces high co-pays, lab fees and more. 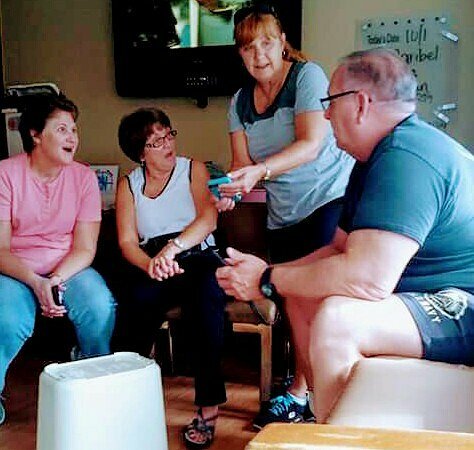 To help with the financial burden of Kathi’s uninsured expenses, a fundraising campaign in her honor has been established with Help Hope Live, a trusted nonprofit organization that has been providing community-based fundraising guidance to patients and their families for more than 30 years. All donations are tax-deductible to the full extent allowed by law, are held by Help Hope Live in the Southeast Heart Transplant Fund, and are administered by Help Hope Live for transplant-related expenses only. Please consider a contribution. Together, Kathi and her family are committed to seeing her through this wonderful but financially challenging time with much faith. We look forward to seeing her enjoy her new life! Thank you in advance for your prayers, support and generosity. Keep an eye on Kathi’s campaign page at www.helphopelive.org because we will be planning some fundraising events soon and posting updates regularly. Today I arrived in CATH LAB Registration and heard familiar voices. I turned around to see it was the surgeon’s that had given me a new heart last September, 2016. It was wonderful to see them and to share how my life has improved! God Bless These Men and Florida Hospital!!! Had the Heart Biopsy and an Echocardiogram afterward. All went very well…..they are THE BEST CATH LAB….I wouldn’t have a Biopsy anywhere else!!! On Monday, March 20th I had Clinic which includes Vitals, Labs and an appointment with my Cardiologist. My doctor is very pleased with the progress I’ve made since my last visit!!! Pulmonary/Cardiac Rehab is going very well. And I am feeling great!!! Doc removed one of my meds from my daily regime and he will be reducing two others very soon…..SO HAPPY about that…!!! I began Cardiac/Pulmonary Rehab last month and my VITALS show it!!! Doing very well in Phase II…..with Warm Up stretching then onto the Bike. This rehab exersise is also important for building strength…..and having MS makes it even more vital to keep the blood moving and the strength building!!! Leg weakness is much improved and am walking without assistive devices!!! It’s so wonderful to be INDEPENDENT AGAIN…!!! I will continue with Cardiac/Pulmonary Rehab for 2 more months with my GOALS being met. It’s ALL good…!!! Hello friends and family, I can’t believe it’s March 17th….Happy St. Patrick’s Day!!! I have been doing very well and only getting 1 Heart Biopsy a month verses every week… Then every other week!!! There have been no signs of rejection in my new heart for the last 7 Biopsies….. Praise God!!! My kidney’s are back up and functioning as they should. Since my heart transplant I have suffered with Acute Kidney Failure over the last 6 months but it’s reversible. Many of my anti-rejection meds do cause organ issues and are workable when my doctors tweek my meds up or down. With the last Heart Biopsy….the good news is No Rejection and my Cardiologist has lowered the PREDNISONE dose!!! So happy about that….Swelling in my ankles and feet better and also under my eyes!!! Today I went to my Family Doctor…..can’t seem to get this sinus infection gone. She gave antibiotics and I hope to be better soon. Also, my sister in-law and I went shopping this afteenoon at a Super Center Walmart….I WALKED THROUGH THIS HUGE STORE without issue!!! Yay…!!! December 15th, 2016 I had a Heart Biopsy. The last 6 biopsies show NO signs of rejection…..!!! God is Good! I also moved out of my brother’s house just recently and am living independently for the 1st time since July when I became ill. What a Great time it is to be in a brand new apartment and ALIVE!!! Praise The Lord…!!! I am getting back to normal, taking care of my beautiful apartment and getting better everyday. I want to Thank Pastor Pete, Chandler, Tom and Barbara, Dave and Perry for moving me in. What started out to be 3 round trips turned into only 1 trip…..THANK YOU ALL!!! On December 14th, 2016 I went to Clinic at the hospital. I get my vitals and lab work done, then I see my Transplant Cordinator to discuss any issues I may be having. I have a horrible sinus infection and will need antibiotics. My cardiologist comes in and is very pleased with the report he recieved from Home Health Care! He called in an antibiotic for me and also prescribed Phase II Pulmonary-Cardiac Rehab to begin after Christmas. On December 13th, 2016 Home Health Care ended. With much improvement, not depending on walker or cane around the house…. I exceedingly surpassed my PT’s GOALS!!! My oxygen sats were great again at “99” and the oxygen equiptment could be picked up….How Awesome!!! October 14th, 2016 I was discharched from the hospital and on my way to my brother and sister in-laws house to continue my recovery. Home Health Care Nurses and Physical Therapists will be coming to the house to check vitals and to work with me on walking and building strength. This will last for two months! Love the pics especially the ones of grandpa/little brother.